The information presented on this page was originally released on March 21, 2017. It may not be outdated, but please search our site for more current information. If you plan to quote or reference this information in a publication, please check with the Extension specialist or author before proceeding. Azaleas have been magnificent this spring. I love seeing the mounds of pink, red and white flowers dotting our Mississippi landscapes. But to tell you the truth, I've been waiting for another of my favorite spring-flowering shrubs that doesn't get as much attention: the Indian hawthorn. Indian hawthorn is one of what I call blue-collar shrubs. An accurate way to describe these shrubs is to say they are hardworking and do very little complaining about how they’re treated. 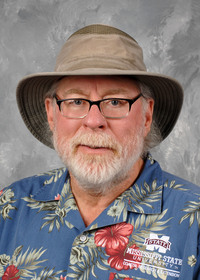 They are so reliable that I see them in almost every south Mississippi landscape as foundation anchor shrubs. You can plant them in just about any landscape situation, and they’ll do their job of providing multiple-season interest. 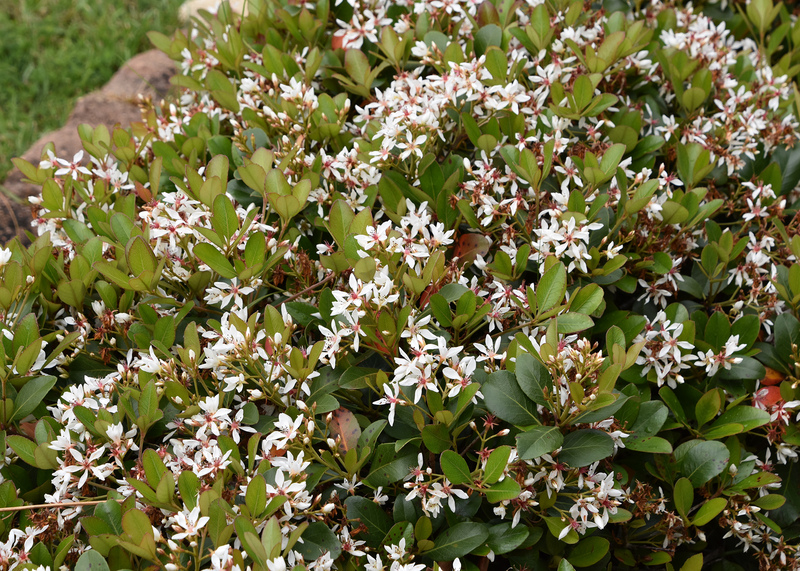 It is precisely these attributes that make them perhaps the perfect evergreen shrubs to plant in your home landscape. 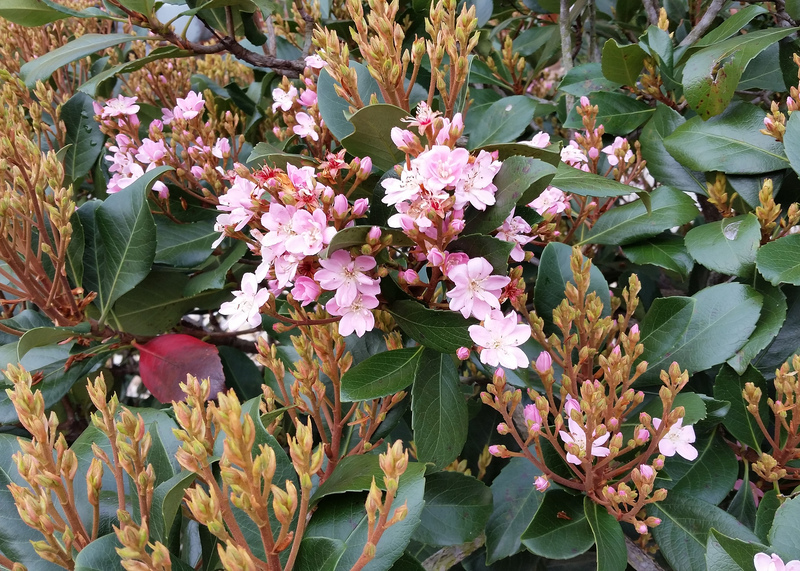 Indian hawthorn is hardy in zones 7a through 10. The fact that it works hard spring, summer and fall is just one reason to plant it in your landscape. Star-shaped flowers emerge in the spring in clusters held loosely at the ends of branches. Colors range from snow white to light-pastel pink. On calm, springs days, you may be rewarded by catching a hint of their delicate floral fragrance when you stroll by a hedge in bloom. The pistils and stamens are reddish, matching the color of the newly unfolding foliage. This feature adds additional interest and contrast to the flower color. During the summer, the thick, leathery evergreen foliage provides a fantastic backdrop for warm-season annual color. The top of the foliage is a lustrous dark green in the summer. When exposed to colder winter air, it can turn a purplish blue-green. The leaf margins have soft, serrated edges that are highly variable. 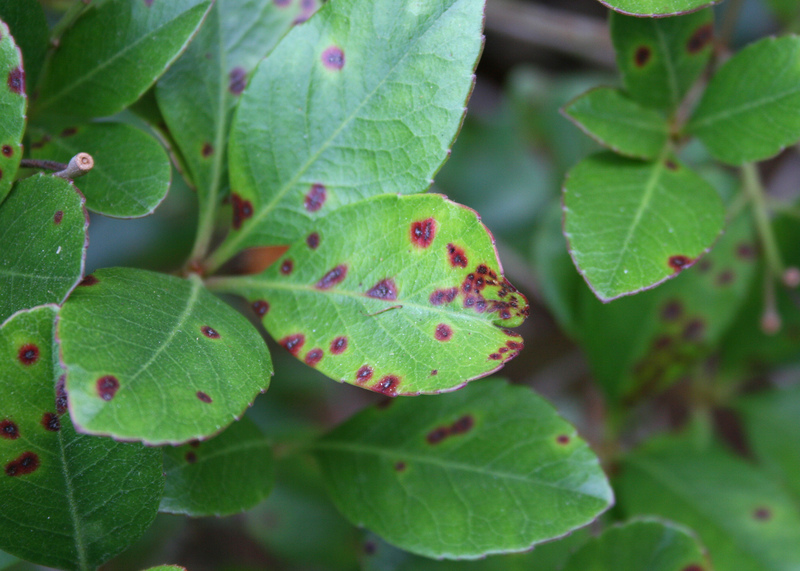 The only real problem the shrub has is that foliage is susceptible to Entomosporium leaf spot. Gardeners can take some of the blame for this problem, as we like to mass plant Indian Hawthorns. Preventive sprays with copper-containing fungicides in the spring and fall can help. 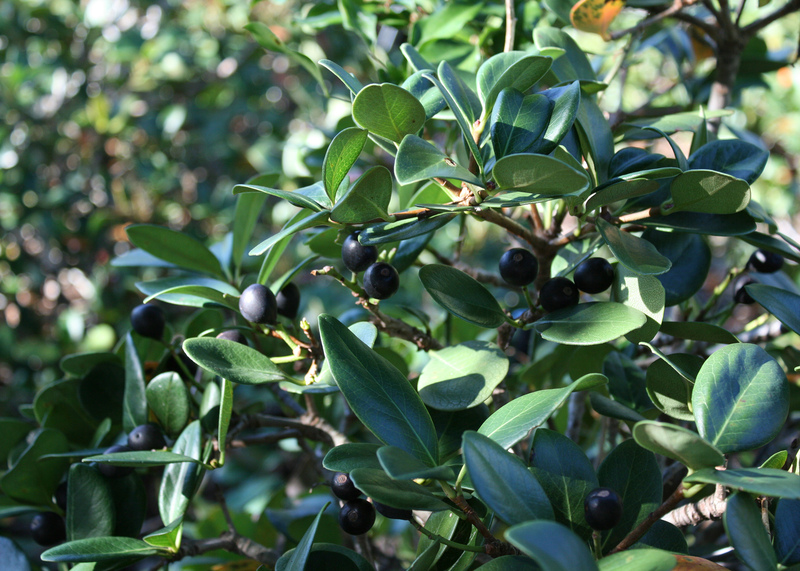 In the fall, Indian hawthorns produce fruit that are an attractive, blue to black color. These berries ripen in the late summer and fall and persist through the winter. Plant Indian hawthorn in full sun to partial shade. It prefers a consistently moist but well-drained landscape bed. To help ensure adequate drainage, plant the crown 1 or 2 inches above the soil level for the best landscape performance. Indian hawthorn tolerates pruning especially well and is easily kept less than 3 feet tall in the landscape. In my opinion, these shrubs should be kept small, but there is a bigger selection I’m really excited about. Rosalinda Indian hawthorn, promoted through the Southern Living Plant Collection, is a large plant that can grow up to about 15 feet if left unpruned. I have seen Rosalinda selections trained as tree forms, and the bright-pink flowers are a welcome sight in late spring and early summer. Although it is hardy in zones 8 through 10, Rosalinda is a little more sensitive to cold winters and better suited to the lower half of Mississippi. So, if your landscape needs a boost from spring-blooming shrubs, consider Indian hawthorn selections when you go shopping at your local garden center.